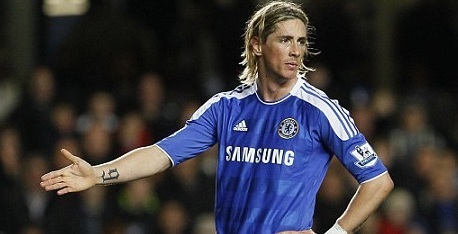 Chelsea will listen to offers for Fernando Torres in next month's transfer window. The £150,000-a-week striker has scored just three Barclays Premier League goals since his £50m move to Stamford Bridge on January 31. Chelsea considered sending him on loan to rebuild his shattered confidence, but they are now prepared to sell. The club will have to take a massive financial hit on the most expensive player in British football history, but they have almost exhausted their other options. Instead they will listen to any club prepared to offer around £20m and match his huge salary demands next month. When Andre Villas-Boas arrived in the summer he was convinced Torres could recapture the form that turned him into one of the most feared strikers in world football. The manager hoped signing Juan Mata from Valencia would improve Torres's game, but even that has failed to spark the Spaniard back to his former glories. Chelsea have been patient with the 27-year-old, but the feelers are already out in Europe to find Torres a top club to take him in January. The World Cup winner has been a disaster since moving to the Bridge and is now behind Didier Drogba and Daniel Sturridge in the pecking order.